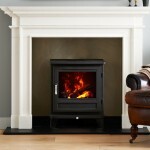 Chesney’s has spent 25 years establishing themselves as the UKs leading supplier of luxury fireplaces. As you can see from our electric stove selection, they have no intention of resting on their laurels after all these years. Electric stoves may be a new one for most people, but they offer the best of both worlds. On the one hand, they have the inimitable stylings of stoves, carrying with it a sense of nostalgia. But they also offer the convenience and reliability of electric fires. You can view our full range below. If the online viewing isn’t enough, we implore you to come down to our Birmingham showroom. 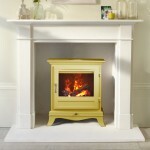 We have expert staff on hand you want nothing more than to make sure you leave with the ideal fireplace for you.